It’s no secret that pop singer Tom Goss is attracted to plus-sized men. Five years after the release of “Bears” — his song that continues to play at gay bear bars and fur festivals worldwide — he is reinstating his commitment to them with “Round in All the Right Places,” a soulful new track that combines sultry lyrics with shapely tones. Produced by Goss and mixed by Marr Zimm, “Round in All the Right Places” is available on iTunes, Spotify and all major digital platforms. Goss hopes to flip the script on perceived beauty with his song. The “Round in All the Right Places” music video features some of the plus-sized men of Tom’s dreams. 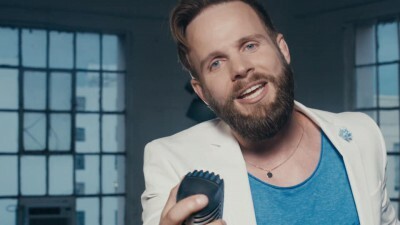 Goss directed and co-produced the “Round in All the Right Places” video himself with additional production and cinematography by Nathaniël Siri.